Most of the time whenever people pass by this area in Boon Lay, they will usually see this adorable looking cat walking along the metal bars near the top of this sheltered walkway. . 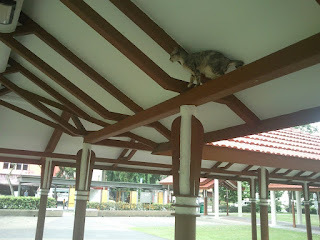 Unlike other cats, this particular cat is the only cat fearful of staying on the ground. She seems to have a phobia for low altitude places. 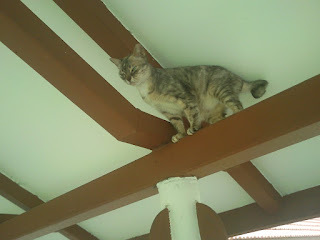 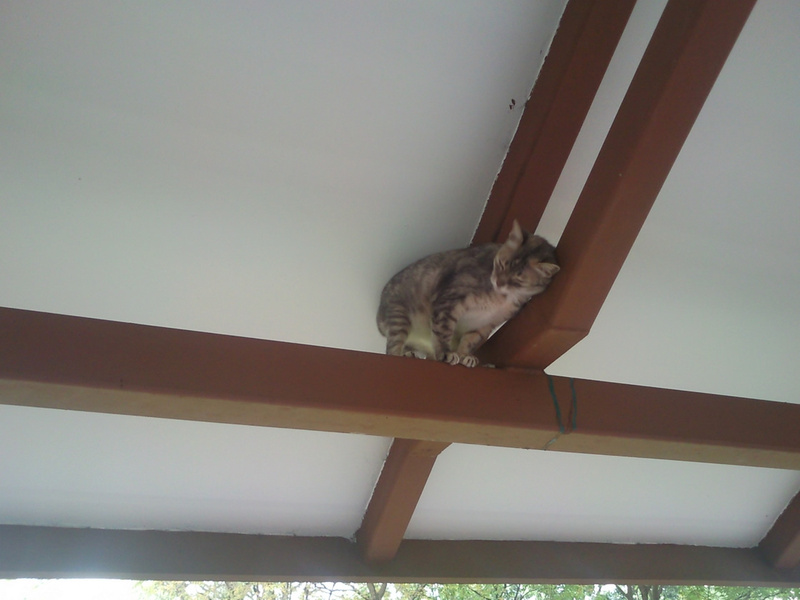 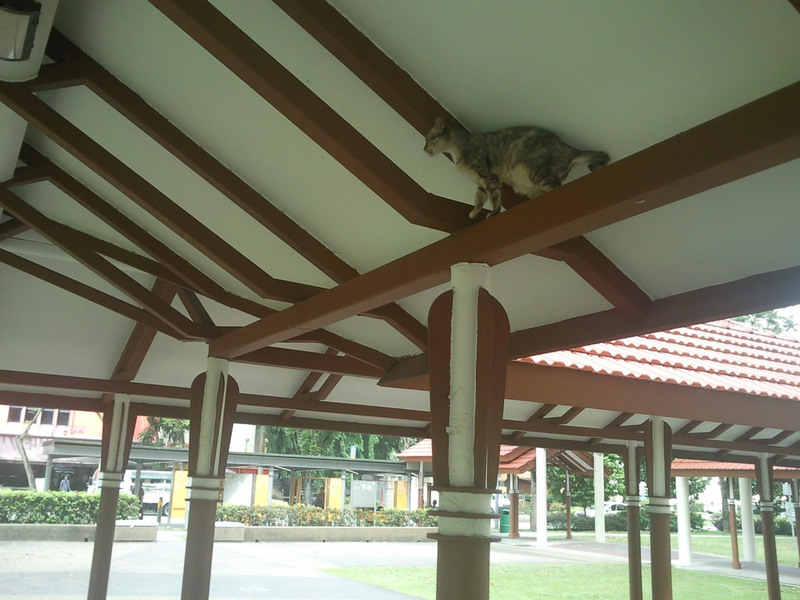 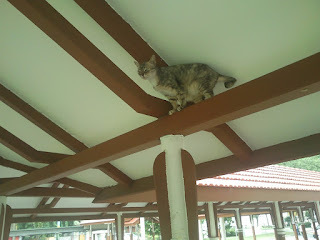 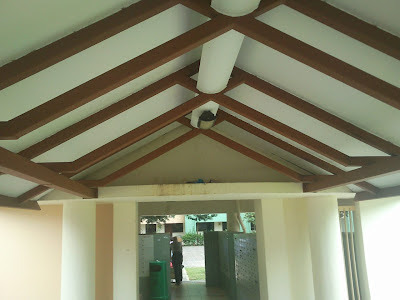 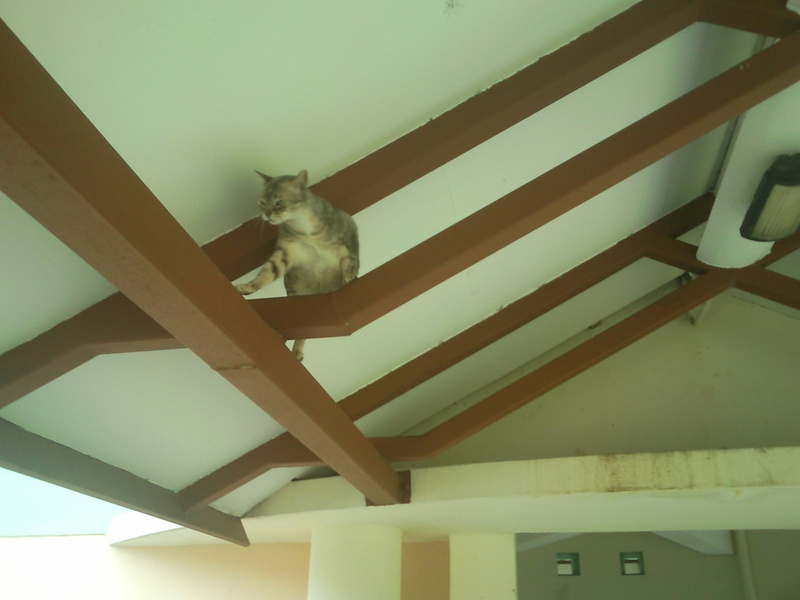 Apparently, this cat has made the top of this sheltered walkway her permanent home. She won't mix with other cats, will not come down even if it is meal time. The cat don't look like she has a fear for human as she responses to strangers below her. 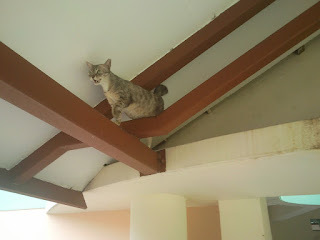 When you are below her, she will make lots of noise just to get your attention. 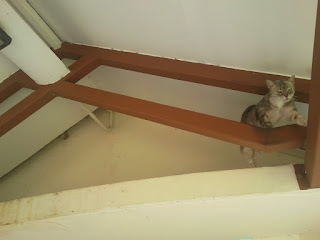 To show her affection, she will sometimes nudge her head on the metal pillars above you. 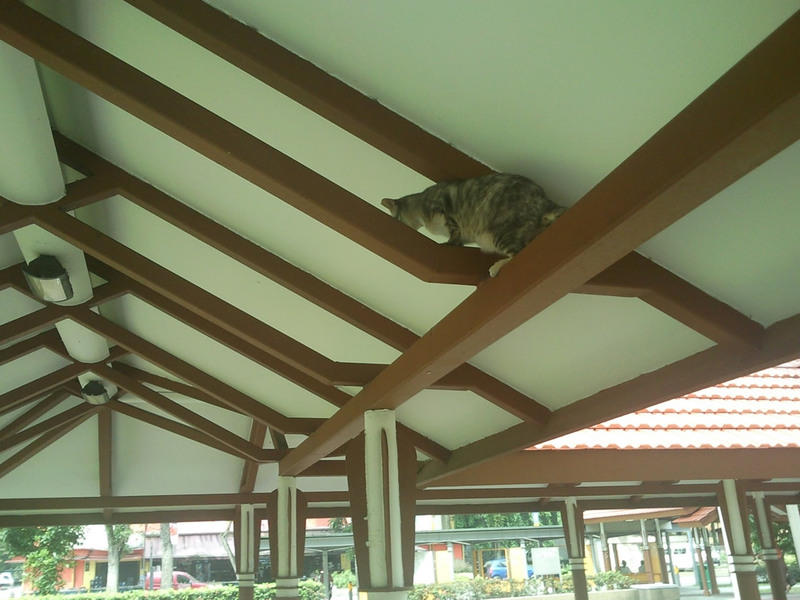 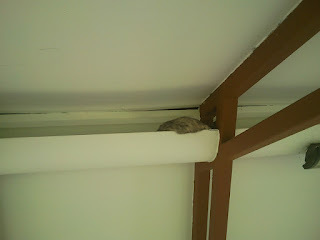 However, there are some minor problems with her staying on top of this sheltered walkway. 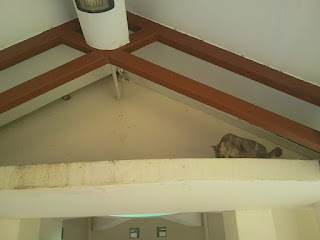 The nearby cat feeder has problem bringing food and water to the cat as she stubbornly refuses to come down from her hiding place. It is also too dangerous for her to climb up and bring food to the cat. 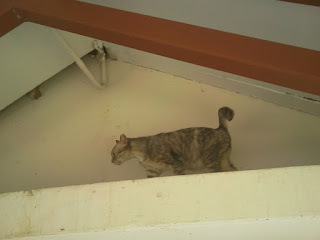 The only solution which I heard from another cat feeder is to "throw" the packet of food up to the cat. This will prevent the cat from starvation, the cat will happily finish her food on the top bars. 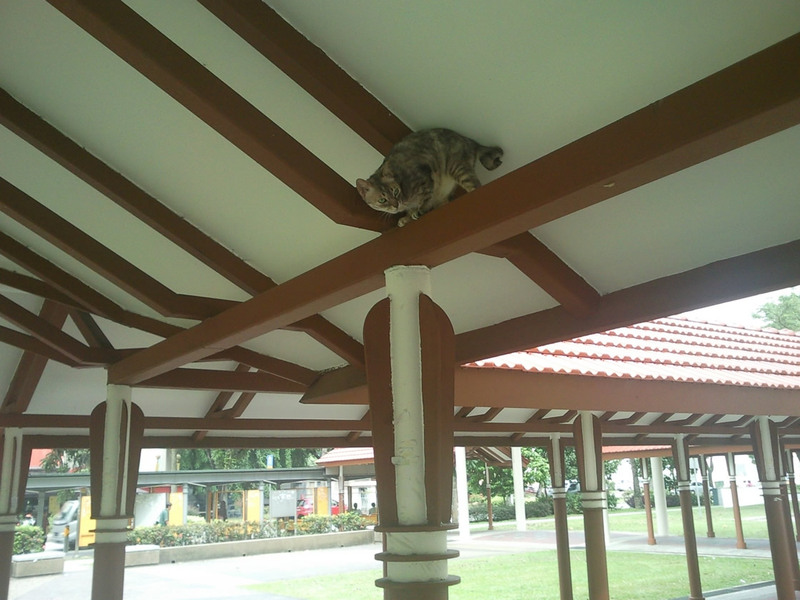 But how to bring down the leftover food I wonder? 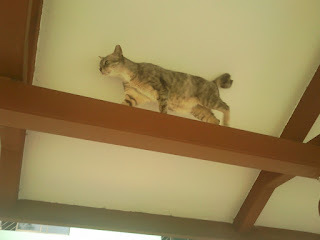 The leftover food will have a bad smell after some hours. 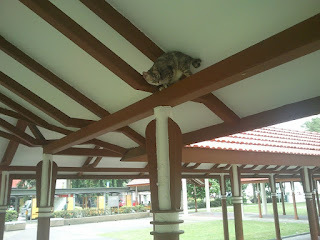 That's another reason why whenever you walk past this area, there is some smell in the air.